I didn’t realise that making a grilled cheese sandwich is super easy. I always have it on lonesome weekend trips at Pancake House. Now I know how to make it on my own. 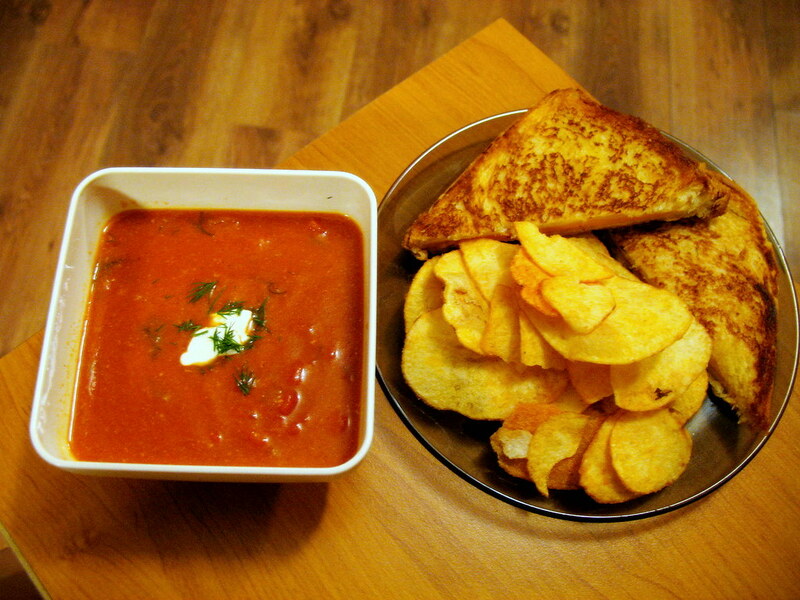 Tomato soup (with a dollop of creme fraiche and dill), grilled cheese sandwich, crisps.